soggy. Inside my twelve-year-old nostrils, tiny, sensitive antennae wave and stretch—absorbing signals. They quiver from the chemicals in Mother’s hair color. A sharp knock on the door. Mother drops a plate; pizza slices scatter and strew. “Don’t open,” I say, inhaling the odor of alcohol, another woman’s scent, and the simmer of anger from outside the door. “It’s Father, I must,” Mother says. I cannot convince her; when I lost one sense, another sharpened. A whole life in those few words – well done. Wow. Powerful, Sudha! Great job at capturing so much in so few! Wonderful title! Great story! Hope to see a lot more of your work. Thank you for reading, Bobby! 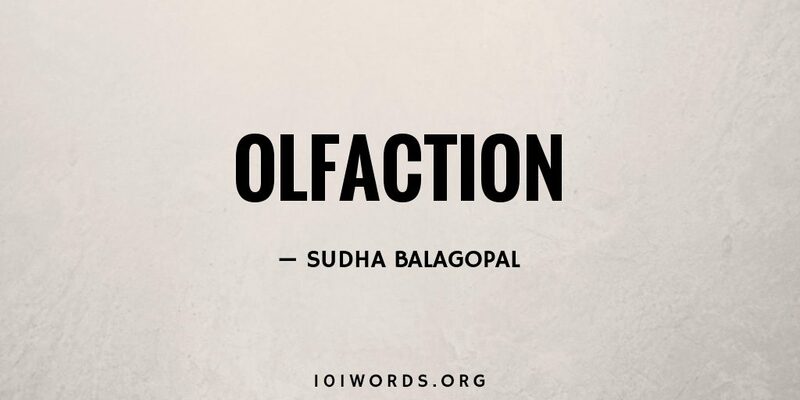 A powerful piece of micro fiction, Sudha. A whole story yet with so much more to say. Well done. Powerful words, strong emotions. Many thanks for a great read, Sudha. I didn’t smell it coming~the twist that is. Excellent story, thanks.